Travel Contest: Win a Trip for Two to Singapore! Three years after I moved out of Singapore, there is something about this little island state that still lingers in my mind. Most of us travel to find solitude in nature or to relive parts of ancient history. 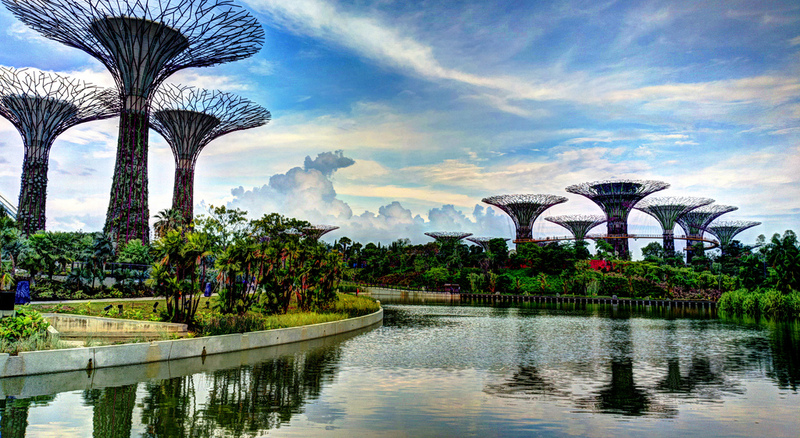 But Singapore, with its manmade beaches, solar-powered gardens and city lights glittering almost more magically than stars, is a glimpse of what travel might become in the future. When the world has culturally assimilated and technology surpasses even the wonders of nature, won’t we travel to witness progress? Morning by the Singapore River. Photo by Leong Him Woh. Volvo Trucks is asking you to browse through their perspectives of progress in Asia, share your favorite example on Facebook, and win a trip for two to Singapore. It’s really simple! 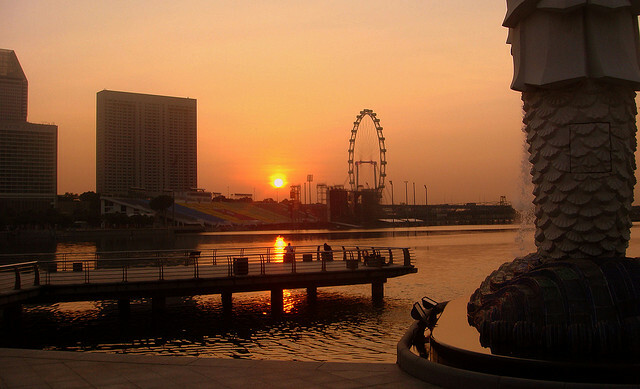 A 4 day-3 night trip to Singapore for two, worth SGD 8000! 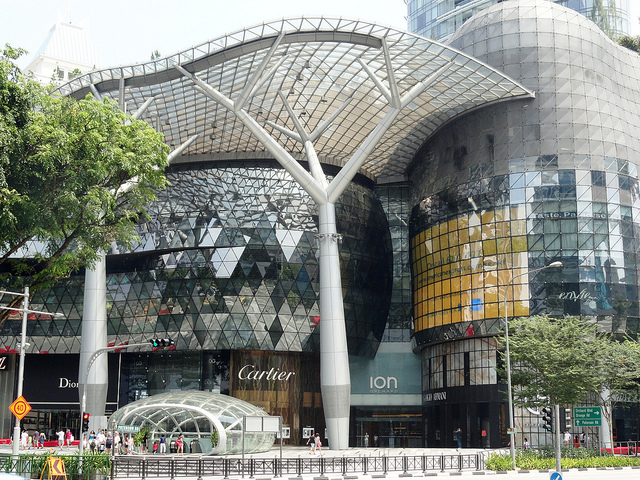 Orchard Road. Photo by Fabio Achilli. Log on to Perspectives of Progress and “Begin Your Journey”. Choose a video or 360 degree views, explore it, and on the bottom right, click “Share to win”. Enter your email address, agree to the terms, and share a customized message with #Volvo360. Remember to leave your privacy settings to “Public” before you hit share, so your entry can be captured. That’s it. You’ve entered the running to win yourself a trip to Singapore. The contest ends on June 26th at 9:29 pm India time. The contest is open to the following countries: Bangladesh, Bhutan, Brunei, Cambodia, Hong Kong, India, Indonesia, Japan, Laos, Macao, Mainland China, Malaysia, Mongolia, Myanmar, Nepal, Pakistan, Sri Lanka, Singapore, South Korea, Taiwan, Thailand, The Philippines. Need reasons to (re)visit Singapore? I’ll give you five. Gardens by the Bay. Photo by Khairul Nizam. I didn’t know what I was expecting when I walked into Gardens by the Bay. But I certainly wasn’t expecting colossal trees that colorfully light themselves at night with solar energy they generate during the day. Or an indoor vertical garden with a waterfall. If I didn’t know I was indoors, I could have quite mistaken myself to be in a unique ecosystem somewhere deep in the rainforests of South America. 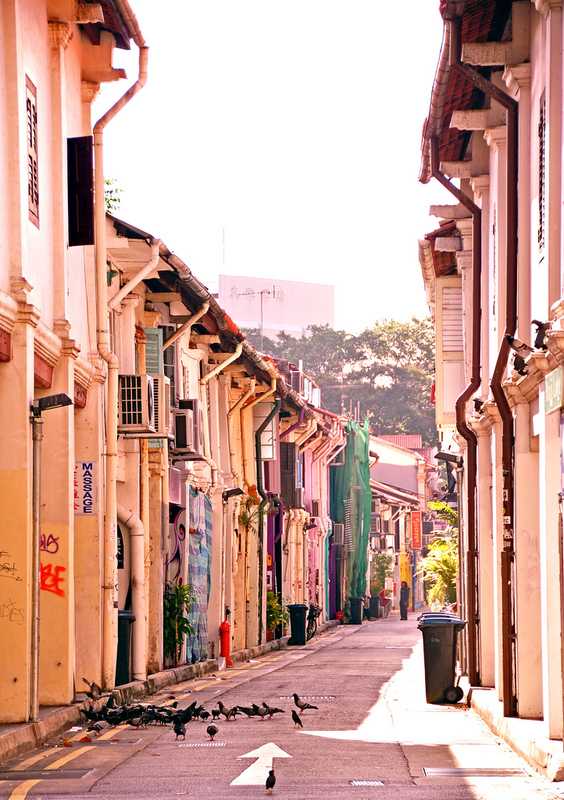 Arab Street. Photo by Nasrul Ekram. Even as a vegetarian, I miss Singapore the most for its food. Within this small island country, my tastebuds can travel across the world within minutes. On a perfect day, I would start my morning with a French breakfast at Hatched, satisfy my Mexican cravings at Tequila Blu, guzzle German beer at Brotzeit, indulge in traditional Chinese goodness at Din Tai Fung, and round up the night with shisha at Arab Street. I’m yet to visit Singapore’s latest wonder, The River Safari, which takes you through eight river habitats of the world in a few hours. I haven’t made my peace with animals being transported from their natural habitat into a manmade replica habitat, but in a world that is likely to be driven by technology, that may as well be the future of wildlife. I want to visit for an affordable glimpse of the Amazon rainforest and the Congo. 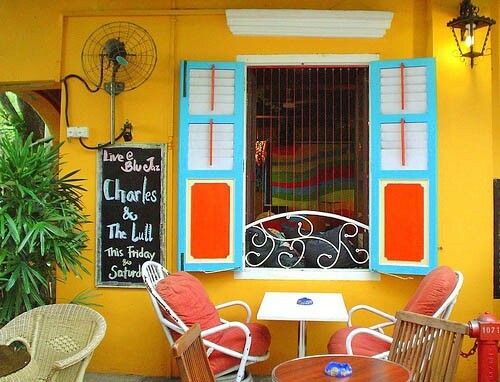 A cafe tucked away on Arab Street. Photo by Mysticlens. What’s better than trendy little cafes tucked away in the traditional streets of Chinatown and Tanjong Pagar? Cafes with a secret password. Cafes that are invite-only. Cafes that have no name on the door. Singapore’s growing café culture is taking a fascinating turn, and I’m told their Facebook pages often leave clues. Sentosa Island. Photo by William Cho. So what if the beaches are manmade? The sand, imported from Malaysia, is perfectly crushed, and the palm trees bend at just the right angle for shade. And when you’ve had your share of the sun and sea, head on to Resorts World Sentosa to try your luck at the casino and thrill the adventurer in you on Battlestar Gallactica, the world tallest duel roller coaster, at Universal Studios. So go on, enter the Volvo Trucks contest. You might just win a trip to Singapore! Remember the contest ends on 26th June. 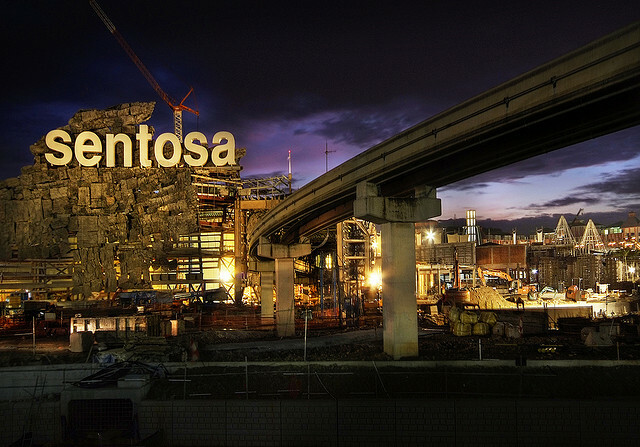 Note: I’ve written this post as part of Volvo Trucks’ Perspectives of Progress initiative. Oh wow!!! Looks like a great contest..and a luxuirous prize too to grab.. Indeed! All the best Manjulika! All my contests are based either on fair lucky draws or creativity. This one, anyway, is held and judged by Volvo Trucks. Hope you took part! Somehow the link didn’t work like expected and couldn’t share on facebook. Have tweeted with the tag though. Not sure if it will work that way. Ah, that’s too bad. Hope your entry counts anyway! Hey Shivya, When will the results be out? And how will we get notified it? Shree, the results will be announced on the Volvo trucks website and facebook page. They’ll email the winners as well. Previous PostKinnaur: Of Mountain Legends, Unknown Trails and Wild Beauty.